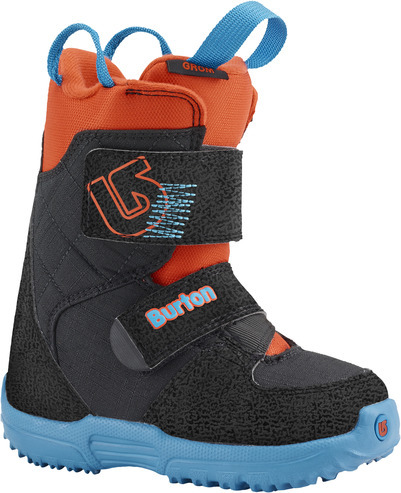 Get your mini shredder started on the right foot with the super soft flexing Burton Grom Boot. Oversized Shred Ready Velcro® straps get them out there faster while 3M™ Thinsulate™ Insulation keeps them out there longer. The super cushioned kids’ DynoLITE outsole provides better balance, traction, and comfort when hiking, riding, or just playing outside. Better yet, with the Room-To-Grow™ footbed you gain one full size to stay a step ahead of those guaranteed growth spurts.